The Black/Silver 'Basic' studs and cuff links by Jascott set the formal standard with sophistication and detail. 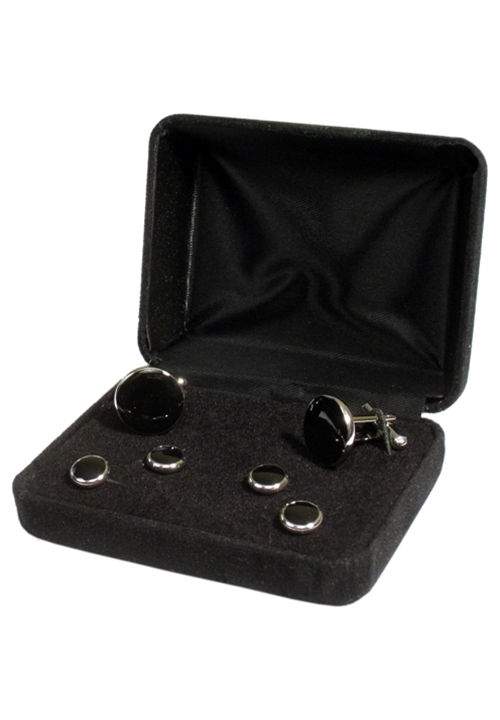 Each set includes 4 studs and 2 cufflinks. These basic lines are available with a black center and silver rim.